Shooting in a group of 12 guns (can be less or more by arrangement). Meet at the Green Man approx. 9.30am for bacon rolls and tea or coffee followed by a short brief about the day ahead with safety talk and shoot etiquette. Safety equipment is provided and must be used - earplugs, safety glasses and caps. 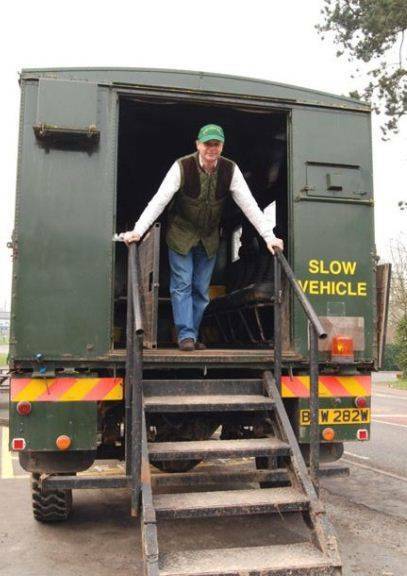 Peg numbers will be drawn and teams arranged before we then move off in our custom made shoot lorry to the drives in the surrounding beautiful Cambridgeshire countryside were your Six Mile Bottom experience truly begins. You will be placed on pegs 1 - 6 as you would a real shoot day with your partner loading for you (in teams of 2) and vice versa. 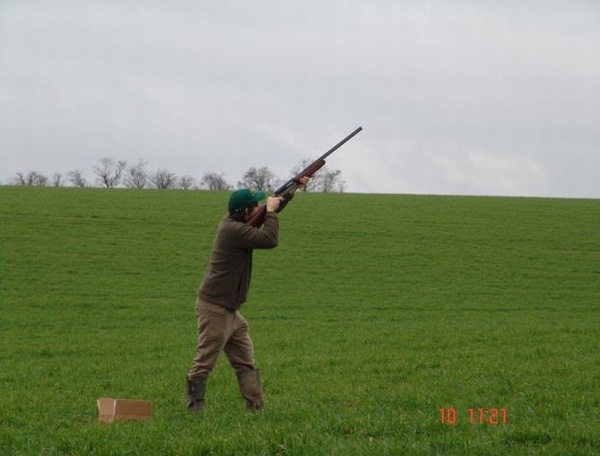 You will be under the most exciting driven clays you have ever experienced with birds coming over in droves crossing from right to left; left to right; straight overhead and straight over your neighbours head! We will blow the whistle to indicate the end of your shooting and it is now your partners turn. The clays are on a sequence timer so you will all receive exactly the same amount of shooting each. Approx. 500 - 600 clays per drive. The whistle will blow again to indicate the end of the drive. 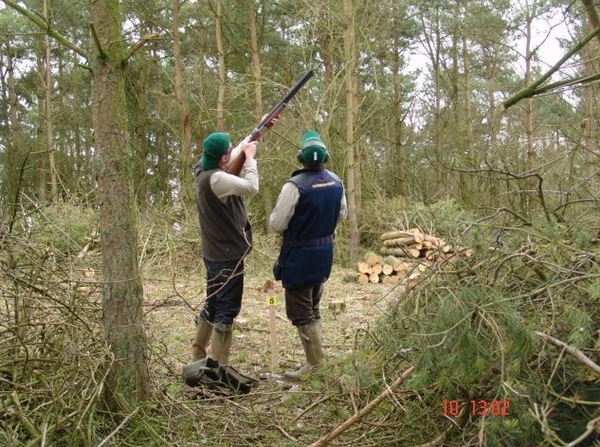 We then move around to the next drive for more exciting shooting in a different setting on the shooting ground. 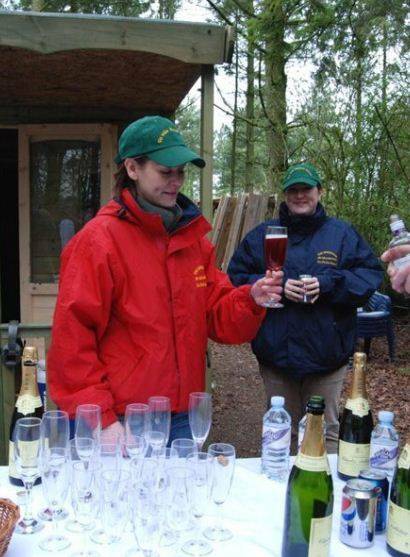 After a third drive we break for snacks and drinks - also tailored to your requirements; champagne and nibbles for the more experienced shots and soft drinks for the novices! Smoked salmon and champagne in the field is first class and gives the group of guns the opportunity to recap the first three drives and maybe to cool the fingers and relax the shoulders! A further two drives will keep your hunger for shooting completely satisfied. After the shoot return to The Green Man for a delicious Green Man Ribeye Steak cooked to your liking and with a nice pint of Greene King IPA - you couldn't wish for a better end to the day! The village pub, The Green Man; a former coaching inn regularly frequented by Charles I and indeed rumoured to be haunted by Nell Gwynne, is now at the centre of local shooting. 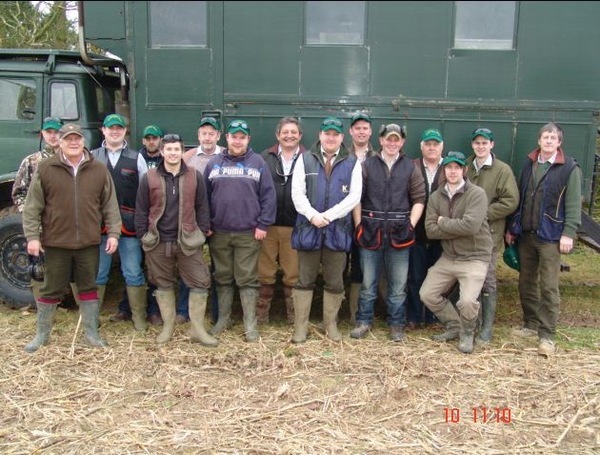 Taken over 7yrs ago by Gamekeeper Richard Clarke and run alongside a simulated clay shoot groups of guns can come along out of season and shoot clay pigeons that simulate game birds in flight and range from driven partridge over high hedges; high pheasant coming out of woods or standing in a deep chalk quarry; grouse or crossing pigeon. Whatever you need to practice on can be simulated. 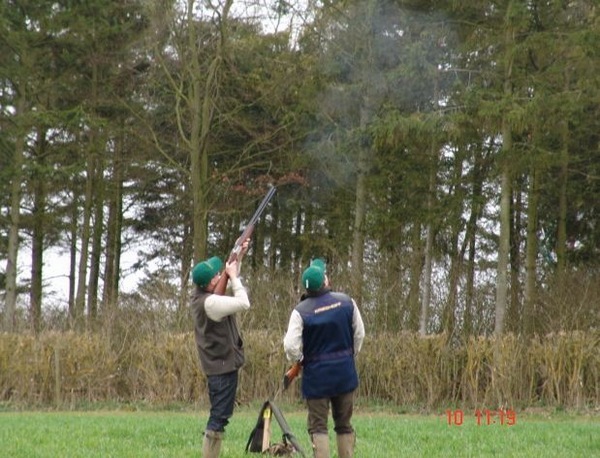 We aim to give you a shoot day you will remember and not only will you come away well fed and watered, you will have had some fantastic shooting and a sore shoulder to be proud of! At Six Mile Bottom Shoot the aim is to promote safety and confidence and our tuition will help to achieve the level you feel you need. 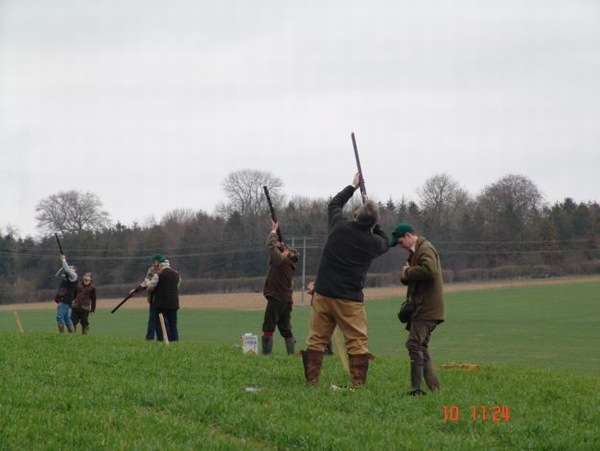 If you have never picked up a gun before you have no need to worry as our experienced instructors will guide you through using modern guns with low recoil so you will feel completely at ease dispelling the myth that you will go away battered and bruised and not wanting to shoot ever again. 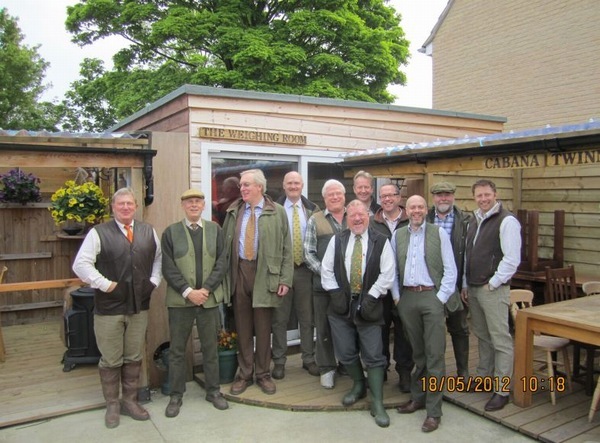 Clay pigeon shooting is one of the fastest growing forms of corporate hospitality and provides an excellent way to entertain clients; to promote your business and team build your staff in a way that they have never experienced before ,the day can be tailor made to suit your company's needs and if your guests are complete novices we will ensure that every one is successful and has an enjoyable experience which in turn will enhance your reputation. After we can offer a meal in The Green Man or a BBQ on our patio or maybe in our lodge in the woods at the shooting ground.